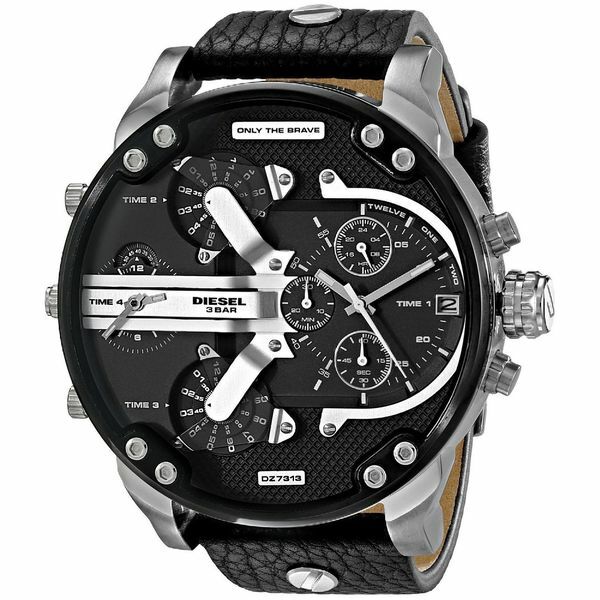 This is a very attractive watch. I'm very please with this watch. I love the size and weight of this watch. The 4 clocks on it is a amazing sight to see. I will be ordering another very soon. This watch is definitely better in person! The pictures don’t do it justice. I purchased this watch for my boyfriend and he receives a lot of compliments on it. If you are looking for a larger than normal watch I would definitely suggest this one! This watch is even better in person! Only watch I wear anymore and I have several! I have had several compliments while wearing it. High quality, and even though it is a large face, it is very comfortable on the wrist. My husband loves big faced watches and this is a true big faced watch. I purchased for him as an anniversary gift. He absolutely loved it. I was am awesome wife to get him such a great watch. My husband collects watches, he likes the big and exotics! Gift for my husband, size and style suit him well.